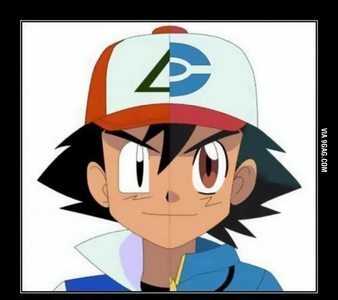 How old is Ash now??? I think ash is about 17 または 18. Every season is like one 年 for ash so i think it depends on how many seasons there are. This seems to be the most accurate interpretation; however, in Pokemon 3 the movie, Ash and ピカチュウ celebrate their first anniversary since the 日 they met. Which may also mean the first anniversary of Ash and Misty meeting. Ash and Misty were at least 11 at that point. I could say that Ash and the gang have a birthday before/during/after every 3 movies, but that would be silly since multiple 映画 happen back-to-back, but the short could hint that he was 11 around the time of early Johto. Since Ash hit puberty a while back (Voice change), it could be argued that at that point he was at least 13. So my theory is: he would be around 14/15 at the beginning of Isshu. There is a way he could be 10 still due to the encounters with Dialga. I like Palkia the best. He 発言しました he was 10 in the Black and White/Best Wishes anime. That 回答 it. Slow progressive anime, like Hayate no Gotoku!, but slower. 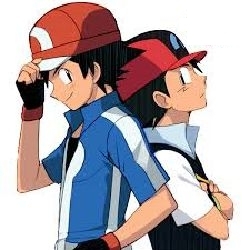 If we were to assume a logical inference the each episode in the Pokemon series represents a day, there are 804 episodes so from this point on this should be recognized as a representation of 804 days(dy) in Ash Ketchum's life. Also assuming each movie represents about 3dys, with 15 映画 multiplied によって 3dys it equals 45dys represented. So add that to your original 804dys, and your total dys represented is 849dys. There are 365.25 days(dy) in a year(yr), 849dys divided によって 365.25dy equals 2.32yrs. Ash Ketchum turned 10yrs old on the first episode of the series which would technically make him 12.32yrs old, logically rounding up from so many possible unaccountable days within the episodes and movies, Ash would be between 12.32 years old and 14 years old. There あなた go. At least 18-19 years old. Ash is 32. 2017-1995=22. 22+10=32. Pokemon came out in 1995. It is 2017 now. Ash was 10 when he started. Numbers don't lie and these numbers say that Mr. Ketchum is 32 years old. Yes this is a logical answer.Numbers are perfect and they don't lie.According to calculations Mr Ash Ketchum is 33 because it is 2018.I vote this as the best answer. I would have to say he look 13 years old compaired to Dawn and Brock in Sinnoh. Wrong, in Episode 9 of Season 1 "School of Hard Knocks" the students of Pokemon Tech ask the central character of that episode what all of Pidgey's attacks were, and Joe says, not only the attack names, but also the level in which Pidgey learns the attacks. He then goes on to tell Ash and the gang that Pidgey evolves into Pidgeotto at level 18, and into Pidgeot at level 36. So technically, there are levels in the anime. They probably do not work the same way as in the game, however. 表示する started in 1998, so 14 years ago. Ash would be 24 now. Holy cow! That is a difficult 質問 to answer since we do not know how the seasons work in the Pokemon world. If they work like they do in reality then Ash world be in his 20's. A league takes place every 4 months, and in 日本 he is recognized as 5'5. this would conclude that (and this is the only logical reasoning) he id denying his age to hit on 10 年 old girls. either that または he's 14/15. He has been through 3 leagues (which are a 年 apart), he has been to 3 grand fretivilles (all a 年 apart), so he should be atleast 17.
ash is indeed 26 years old now but if u look at it clearly, he only looks 16-20 years old. I've been a ファン since a young age. I've studied his height, weight, and his progress since he was a kid in Kanto. I answer this 質問 with complete honesty. Ash Ketchum is indeed 18 years old. 質問 answered. If going によって the theory that every league is a year, including the オレンジ Archipelago(that everyone keeps forgetting) and the Battle Frontier, that would put him at 17 at the end of Unova. Now, if we were going によって actual years in the real world, he would be in his twenties. This in my opinion is the most unlikely. Assuming that Professor Oak is around the average height for a grown adult male in Kanto, even after the decrease in height that would usually come with aging he still has a decent height advantage on Ash, implying he most likely hasn't even hit full puberty. That doesn't mean it couldn't be a heredity issue causing him to remain short-considering we don't know the height of his currently non-existing father- but since his mother is his only known parental figure and she is fairly tall, we can assume he will end up tall as well. Now, if we go によって the earlier mentioned theory that leagues happen every four months, he would be a little over twelve. This would be a likely age based on how he acts and talks-including the minor high increase and voice change that could be implying he is hitting puberty-, but we have no confirmation on the length of the leagues. Another option to look at would be going based on episodes. If we take every episode as a 日 and multiply a third of it によって two to cover episodes that had もっと見る than one 日 in them, we would come up with 2.9 years worth of time having passed, which would make him about to turn 13. Also possible, but not the most likely since a majority of animes do not count the passing of time on their episode count -or even 日 count in the episodes- but あなた never know. There is also a theory that legendaries (most say Dialga but I would say Ho-oh since it was the first legendary they came in contact with, and they haven't seemed to age much since) stopped them from aging. This is highly unlikely, both because the legendaries would have no reason to do so and there is no recorded case of it happening in the show, and for the fact that Ash would have acknowledged that fact at some point-no matter how oblivious he is. Now-in my opinion- it is time for the most plausible option. In many animes the creators will put in もっと見る episodes than possible in the span of a 年 yet no time passes. This is usually either because for the plot to work out correctly the character must stay in the same grade または location which wouldn't happen if time passed(Detective Conan being a good example) または in cases like Pokemon where they focus the story around a child as the main, but don't wish to change the main so they just don't age 発言しました main. So in conclusion, chances are, Ash is still ten because of the creators. lol...!Ash is still 10 ! Assuming every episode is a week, every season is a year, he should be 25. It states in the first episode he is 10. After that I don't think it says anything until Unova, in "In the Shadow of Zekrom" the narrator says he's 10.
its Pokemon. PO-KE-MON! ANYTHING CAN HAPPEN! He is ten because in the first episode he sees ho-oh which grants eternal happiness, so using the same logic ash's eternal happiness is traveling the world capturing Pokemon. によって THE POWER OF LOGIC WE HAVE SOLVED IT! if every episode was a 日 than Ash Ketchum should be 13! Ash is 10. In the アニメ one of the very first things he see's is Ho-oh flying through the air. 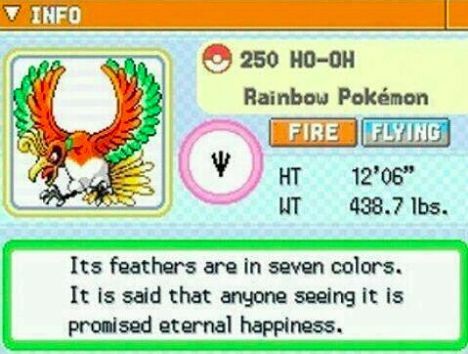 Ho-oh's pokedex says it grant anyone who sees it eternal happiness. Ash's eternal happiness is to be 10 forever. I assume that if the pokemon series started in 1997, if あなた do the math correctly then ash is either 29 または 30 today. He never become older, he is still 10. In Battle of the Badge it is 発言しました that it had been a whole 年 since ash had visited Viridian City. Which means ash is at least 11.